The Escapists has come a long way since we played around with the barely alpha build last year. After exploring the near-final PC build of the title a few weeks ago, we came to appreciate the finer details of the experience beyond its primary prison breaking premise. 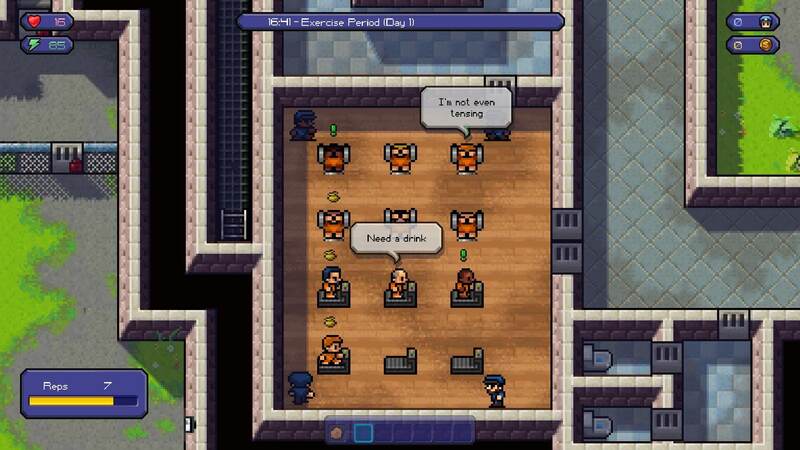 Part of Xbox One’s wave of digital indie titles, The Escapists lands comfortably on the Xbox Marketplace and is looking for fresh prison inmates. 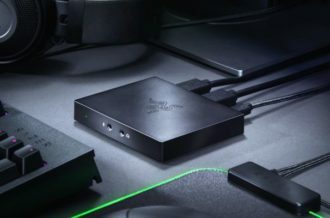 The Xbox version is a different mold than its PC counterpart, as it was built entirely from scratch and is not a mere port of the PC version that we previewed in the past. Which is why the prison busting escapades of The Escapists feels so right, and oh so much fun, on the Xbox One. 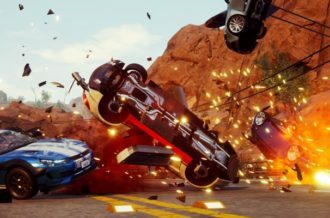 The finished product is leaps better than the demo builds we toyed around with, proving a thoroughly and thoughtfully designed action/simulation game with lots to micromanage and a variety of things to get caught up in. 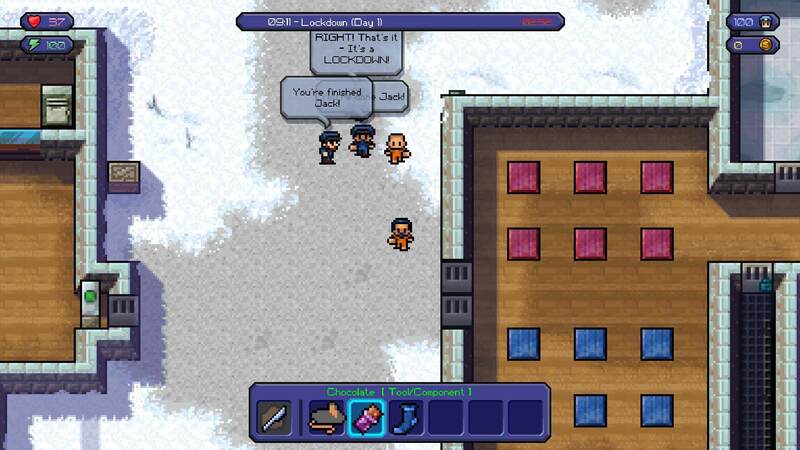 In The Escapists, players take the role of one of the many inmates trapped within the walls of a high security prison with the primary goal of finding a way to escape. That’s only the destination, however, and it doesn’t take long to appreciate that The Escapists isn’t just about planning that perfect escape, but also about everything else in between. 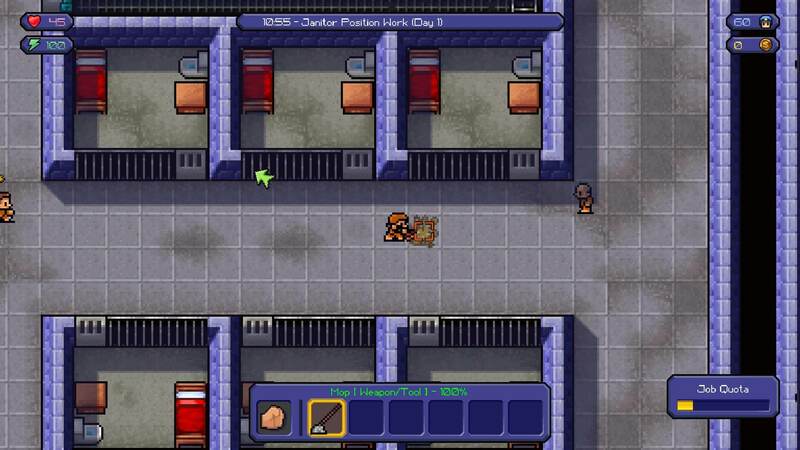 The Escapists has you live through the daily grind of a prisoner. This involves sticking with a timetable where meals, recreation, exercise and shower times are neatly scheduled. It’s the same routine day in day out, but at least there’s free periods to do as you please, which usually involves plotting an escape. Deviating from the timetable can land you in trouble, especially during lock-down time, but eventually you learn to sneak around or outrun the prison staff better. The daily prison activities do tend to get interesting thanks to the variety of side missions (i.e. doing favors for other inmates), prison jobs (exciting career opportunities such as weed trimming) and building strength, speed and intelligence via exercise and studying. What’s interesting about The Escapists is how easy it is to get caught up in all the prison activities, almost to the point where it sidetracks you from your main escape goal. Building up your character’s stats can be a slow RPG-like grind, but it pays off. Having strength allows you to fare better in the many prison brawls, speed gives you faster legs when you eventually have to make a run for it, and intelligence allows you to become more proficient at crafting items. Crafting items is a huge element of The Escapists, where you go Macgyver on common items and objects to craft some useful tools and weapons. New recipes and tricks are gradually learned that allow all kinds of items to be crafted that can give a creative edge. Crafting can allow you to turn a sock into a deadly mace, and tape together seemingly useless items into a shovel (which sure beats digging a tunnel with a plastic spoon). While items can often be found lying about or even stolen, it’s usually wise to purchase contraband components from other prisoners — if they like you enough, that is. 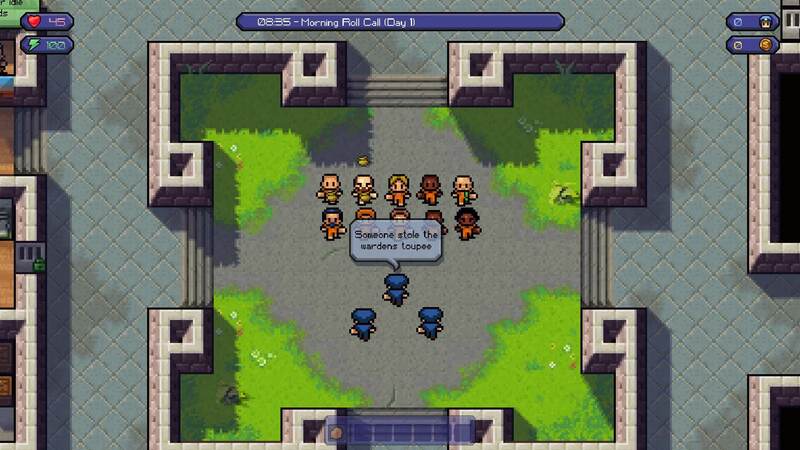 The Escapists is all about interacting with fellow prisoners and the guards that keep a hawk eye on you. In fact, dealing with inmates becomes a constant thing for better or worse. 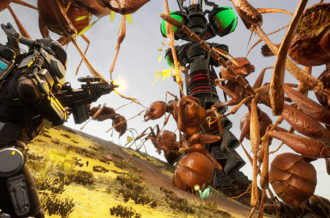 There are a variety of bite-sized missions, which involve things like retrieving items, causing a distraction during certain times and even beating up guards and prisoners. Doing these favors can create helpful allies, in which case they will be willing to sell you useful items, and you can also temporarily recruit them to join your party. This allows you to command them to attack guards or prisoners. Now, since a lot of these favours involve beating up on other prison inhabitants, this can also result in more enemies than you can handle. When you make the list of any inmate, they constantly try to interfere and pick a fight, which can become quite problematic especially when they rat you out to the security. The Escapists is all about managing people, and it’s just so volatile and unpredictable about it. The most important step to planning your escape is to live out a normal 9-5 routine of an innate and soak in the sights. Doing so allows you to map out your surroundings, figure out blind spots and set an escape route. What’s generally overwhelming about the endeavour is that the opportunity to escape is almost never apparent. It usually feels like you’re stuck in prison for good, but through constant mistakes and a lot of trial and error, you slowly but surely piece together a feasible plan. What’s great about The Escapists is that there is really no one set way of breaking out, as your escape method is largely based on your imagination and perseverance. Whether you choose to dig a tunnel, disguise yourself as a guard, make copies of keys, or cut through a fence, there really is no one right way of doing something. This kind of open-ended freedom can be overwhelming but also quite engaging. There is a reason why The Escapists is dubbed as a prison simulator: these high security establishments behave as tightly and rigidly as they should. Under constant surveillance, all your tracks need to be carefully covered or otherwise hours of planning will go to complete waste. Challenges pile up with each new prison, from electrical fences to cameras to detectors. It almost feels hopeless at times, especially when a perfectly laid out plan gets caught and you have to start all over from square one. But despite all these challenges and obstacles, and the constant string of failures, you’re still somehow compelled to keep trying, because the eventual epic escape is perhaps among the sweetest and rewarding feats you’ll ever accomplish in a game. Think of all the great prison escape moments in film and television, and that’s the kind of moment The Escapists let’s you experience first-hand without the need of getting yourself into a real prison (stay in school kids). Considering all the detailed systems and mechanics in place, and the amount of time spent mastering them, The Escapists feels like a simulation RPG than anything else. The RPG banner is especially evident in the aesthetics and presentation, clearly resembling a 16-bit Final Fantasy game, complete with character sprites that always seem to be walking. 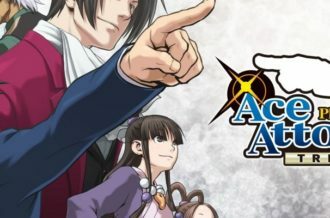 The music is catchy, with a lot of the bass heavy tracks suiting the prison themed setting, but at the same time some of them sound so whimsical and upbeat that they almost give off a fantasy RPG vibe. 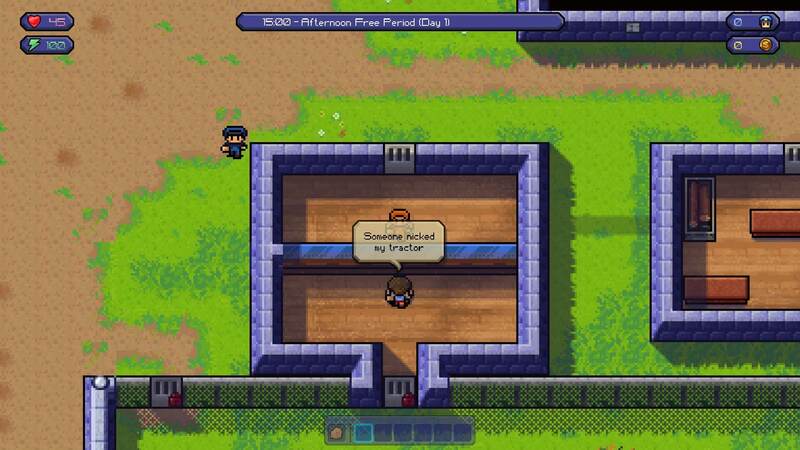 The Escapists plays well on the Xbox One, with the expected comprises made to accommodate the experience on a console. While the PC version obviously provides a wider range of control options, the home version has to make do with the One pad. That said, the controls have been mapped efficiently on the One controller, with every button being utilized for an ergonomically comfortable feel. Given the fast pace of the gameplay and the amount of micromanagement involved, the controls allow you to react to the heat of the moment without any major issues. If there is one glaring omission that makes the One version pale in comparison to the PC version, however, it’s the omission of the Prison creator/editor mode and options. 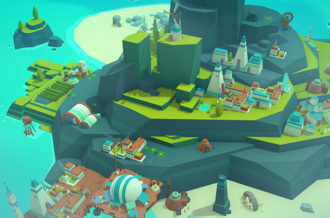 PC players will have a field day designing and creating their ideal hell on earth, but One players will have to make do with the prisons that come with the game only. As fun and enjoyable as The Escapists is on its own, and as satisfying and well-designed the main prisons on offer are, the omission of a prison creator — which could have done wonders to add to the longevity and fun factor of the experience — is too big an omission to overlook. While The Escapists on the Xbox One may not be the most definitive version of the title, it’s still a soundly optimized and immensely original gaming experience that stands out from the crowd in the One’s digital library. Unlike anything you’ll ever play, The Escapists is among the most thoroughly and thoughtfully designed simulation RPGs. 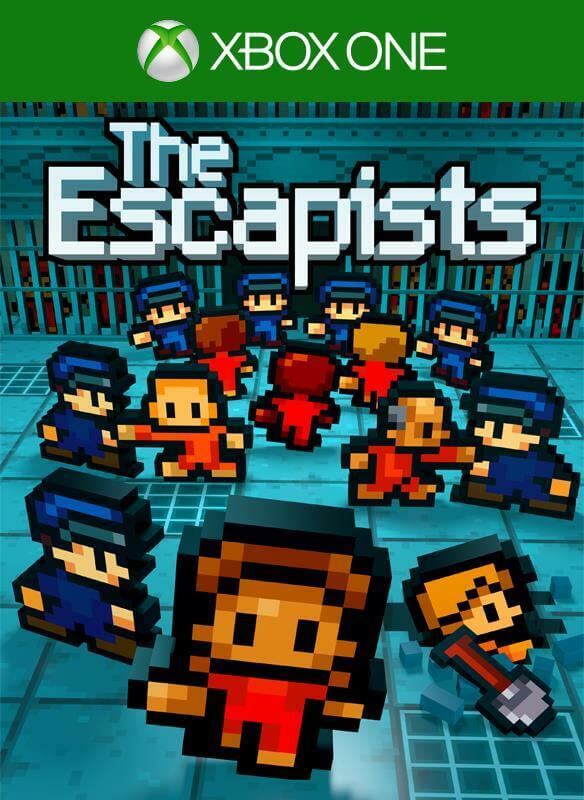 In an era where gamers continue to cry for a departure from tradition, The Escapists not only satisfies the demand for a definitive prison escape video game, but sets the benchmark as well.